Digital Marketing (‘DM’) is the popular kid on the marketing block with greater potential and influence in a single campaign than a range of traditional marketing campaigns. Yes, it’s that good! By strategically linking a DM strategy to overall business objectives, DM opportunities can be identified that will yield the greatest organisational impact. Even the more profession-based, safety-conscious industries, like building and construction, and medical enterprises can benefit from a diverse approach to their DM campaigns. DM doesn’t tend to favour one industry over another. 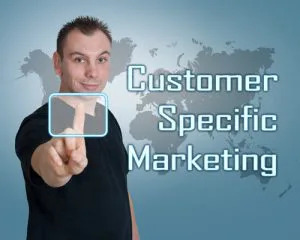 Rather, it’s a non-discerning beast that thrives on valuable, high-quality content, honest and genuine engagements, and ‘word of mouth’ feedback in the form of online recommendations and reviews; the same connections businesses value with their customers offline, only on a larger scale and with global appeal and reach. As part of a multi-pronged approach, and by incorporating a number of trending digital marketing tools, businesses can expand their reach and engage directly with customers and potential customers beyond the barriers of traditional marketing, thereby exploiting a global opportunity to sell their products and services. Even social media platforms, once considered a haven of fake news, cat videos and ‘dirty laundry’, has been tipped as a rising star in DM trends as businesses recognise that social media is where a large proportion of their target audience is hanging out and sharing valuable news, views and, perhaps most significantly, customer experiences. The valuable data that can be gleaned from these honest online engagements offer insights into what customers want and expect from the businesses they choose to give their money to. This ‘social listening’, another growing trend, empowers you to connect with your customers, and lets them know that you value them because you’ve taken the time to engage with them on a personal level. Artificial Intelligence (AI): AI can be leveraged to enhance campaigns and improve a business’s digital presence by organising and analysing large amounts of data into useful and usable information, and it can be used to identify new customers and quickly spot new trends. With this level of information, a business can stay relevant and up-to-date with advances in their industry. Video-content: video content has morphed over time. From formulaic, contrived visuals, the power of video content now lies in the appeal of candid, behind-the-scenes activity through mediums such as Facebook Live and Instagram Live. Short Response Times: online consumers have come to expect information on-the-go. By making yourself accessible to your customers when they need you, you’re in a position to increase customer loyalty, secure repeat business and positively influence your bottom line. Voice Search Functionality: consumers are becoming accustomed to interacting with devices through voice commands and prompts. Voice searches, like SEO, have the ability to improve the value of the content on websites and increase online visibility as search engines now recognise voice searches just as readily as keystroke ones. A well-devised DM strategy can take your business from surviving to thriving by implementing a number of key DM components to your online strategy. Discover the latest DM trends and find out how these can be best used to reveal the untapped potential of your business, no matter the industry. Contact the team at Digital Presence and let us help you unlock your business’s Digital Marketing potential.